Benefit sanctions, whereby social security claimants have their payments stopped for at least a month as a punishment for supposedly breaching strict jobcentre rules, are a key driver of hunger and food bank use, according to a study carried out by Oxford University academics. The study, which mapped official sanctions data against food bank referral figures, concluded that a “robust link” existed between increases in the number of benefit sanctions handed out and rising numbers of adults receiving food parcels. Ministers have persistently refused to accept that welfare reforms are connected to the explosion in food bank use in recent years, despite a number of studies that link sanctions and benefit processing delays to financial crises which leave individuals and families reliant on food parcels. But the Oxford study found that every three-month increase of 10 sanctions per 100,000 of the population over a four-year period was associated with around five more instances of adults being referred for charity food parcels, suggesting a “strong, dynamic relationship” between the two. “These findings show clear evidence of sanctions being linked to economic hardship and hunger, as we see a close relationship between sanctioning rates and rates of food bank usage across local authorities in the UK,” said the study’s lead author, Rachel Loopstra. The study said its findings validated calls for an official review of sanctions and called on the government to “consider whether stopping basic income payments for vulnerable, out-of-work groups is a fair penalty, or whether the long shadow of the harms associated with this practice (eg food insecurity) outweigh any positive outcome of sanctioning”. Although ministers claim that sanctions are effective in “incentivising” claimants to actively search for jobs, the evidence for this is mixed, and some studies have found that providing structured support for jobseekers is more effective as a way of preparing them to find work than stopping their benefits, which can trigger hunger, stress, anxiety, hardship and debt. The Trussell Trust, the UK’s largest food bank network, called for changes to the sanctions regime whereby claimants who breach jobcentre rules for the first time are given a formal warning, rather than seeing their benefits stopped. A Department for Work and Pensions spokesperson said: “The reasons for food bank use are complex, and it is misleading to link them to any one issue. We’re clear that work is the best route out of poverty, and the number of people in employment is at a record high, up by 2.7 million since 2010. The Oxford study also highlights the possibility that some areas of the UK, where high levels of sanctions corresponded to relatively low levels of food bank use, are affected by “hidden hunger”. These areas typically had fewer Trussell Trust charity food distribution centres, suggesting that sanctioned individuals could struggle to buy food but be unable to access emergency food assistance. The researchers, who examined data in 259 local authority areas between 2012 and 2016, found that food bank usage continued at relatively high levels in an area even when sanction rates decreased. They suggest that this is because sanctioning often triggers a crisis that leaves claimants unable to stabilise household finances for several months after the initial penalty has finished. Sanctions have became one of the most controversial elements of welfare reform, with claimants given notoriously dogmatic and capricious punishments for often trivial reasons. Claimants have reportedly been penalised after failing to keep a jobcentre appointment because they were five minutes late, had been taken to hospital in an emergency, or were attending a funeral. 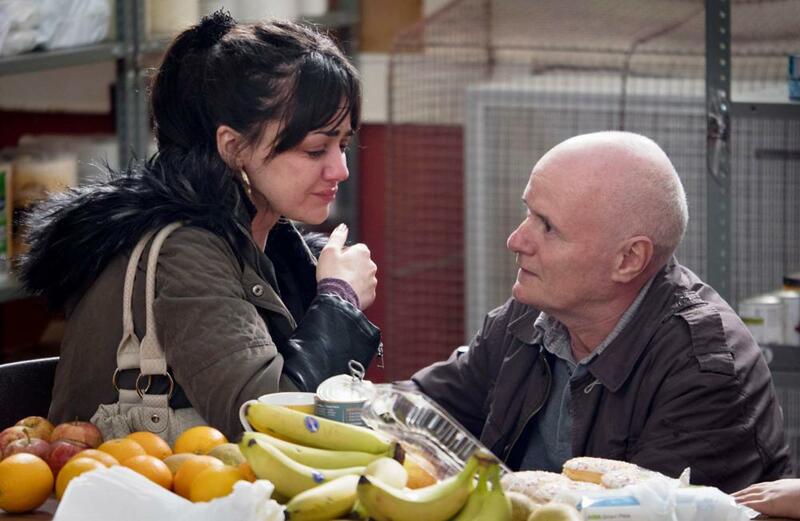 The impact of financial sanctions on individuals already struggling in poverty has hit the headlines again recently after being vividly dramatised in Ken Loach’s award-winning film I, Daniel Blake, which opened in UK cinemas last weekend. Loach has said his characters’ dismal experiences with the social security system are emblematic of a wider austerity-led policy of “conscious cruelty” towards the poor. Debbie Abrahams, the shadow secretary of state for work and pensions, said: “Oxford University’s report proves beyond all doubt the link between the Tories’ punitive sanctions regime and the shocking rise of food banks across the UK. Changes introduced under the Welfare Reform Act 2012 saw sanctioned claimants’ benefits stopped for a minimum of four weeks with penalty periods for more serious offences extended to 13 weeks, 26 weeks or even 156 weeks. Monthly sanction rates almost doubled under the coalition government, reaching a high point in 2013, when a tightening of the conditionality rules around claims for jobseeker’s allowance led to a record 1 million penalties imposed on claimants during the year. Rates dropped to 360,000 in 2015, partly because of a significant fall in the number of individuals claiming out-of-work benefits. The Oxford University study, which was funded by the Trussell Trust, with support from the Wellcome Foundation, admits that there are limitations in both official sanctions data and Trussell Trust food bank figures. 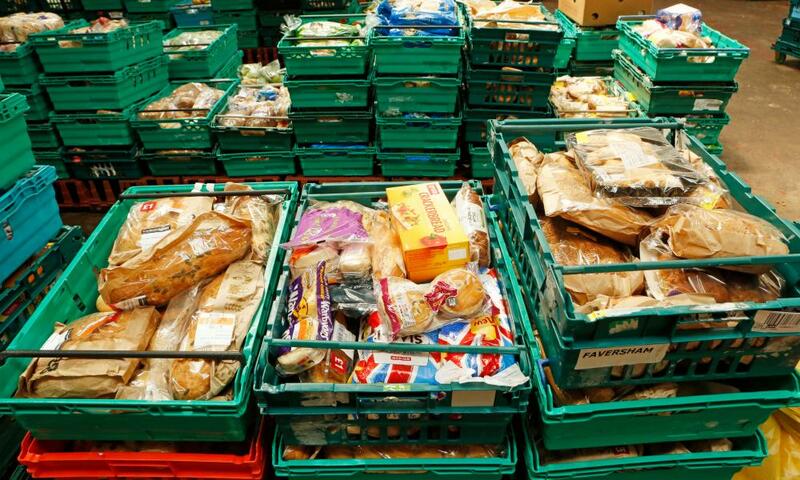 It says it is vital the UK government begins to collect robust data on UK food insecurity.